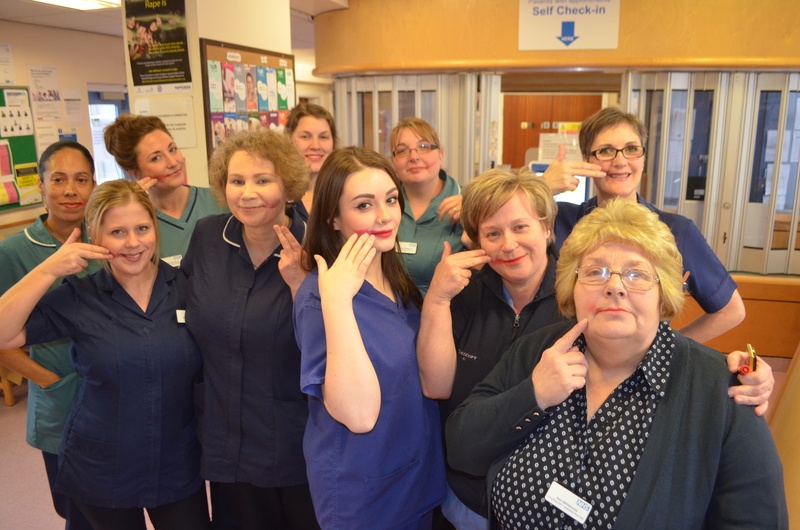 Staff at our Trust are backing a national campaign urging more women to undergo vital cervical screening – by smearing lipstick across their faces. Sandwell Hospital’s gynaecology department have posted a #SmearForSmear selfie in a bid to encourage women to take up the test. Former TOWIE star Danielle Armstrong has already posted a lipstick-smeared selfie on her Twitter account to show support, whilst DIY SOS presenter Nick Knowles is also backing the campaign by the charity Jo’s Cervical Cancer Trust, after his ex-wife was diagnosed with the disease. Recent national statistics showed that nearly a third of women in Sandwell and Birmingham who are eligible for smear tests failed to attend their appointment. Sara Greenway, of the Colposcopy team at the Trust, said: “Cervical cancer is preventable and screening is the most effective way to help us identify the disease at an early stage. “We are supporting #SmearForSmear in a bid to encourage more women to get tested. “It is important for women to know that screening is very simple and quick. “We understand that there are many reasons why women would not want to attend their appointment when they are invited. Many are fearful about the procedure, but the most common reason they give us for not attending is that they could not find the time to attend. In Sandwell a shocking 31 per cent of women have not shown up for their test, whilst the figure in Birmingham is even higher with 34 per cent not attending. Cancer survivor Leah Ferris, (29), from Bearwood, is backing the campaign. 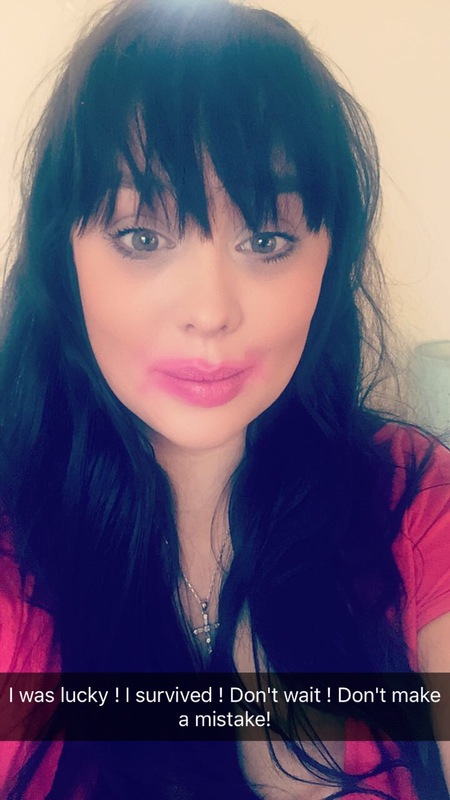 She said: “I am supporting the #SmearForSmear campaign because I will be forever grateful for the smear test that saved my life. “I didn’t realise how important screening was for younger women until it I was diagnosed with cervical cancer. “I think it’s an extremely important campaign which is putting the message out there so potentially more lives can be saved. Robert Music, Chief Executive for Jo’s Cervical Cancer Trust said: “The number of women in England attending smear tests is at a 19 year low and the number of women being diagnosed is worryingly high. Cervical screening saves 5,000 lives a year in the UK. It detects changes in the cells or the cervix at an early stage. These changes cause no symptoms. However, if left untreated, they can, in some cases, develop into cervical cancer. Women from the age of 25 to 49 will receive a letter every three years inviting them to take a test. Women from the age of 50 will get invited every five years.